A dusty hour-and-a-half drive southwest from Fort Worth will land you in Stephenville, Texas, a town where cattle outnumber humans. There lies Tarleton State University, where Regent University School of Business and Leadership alumnus Dr. Rick Richardson (’07) was named CFO and VP of the university’s finance division in April 2018. “It’s a wonderful privilege to be able to serve the university in this capacity,” said Richardson. 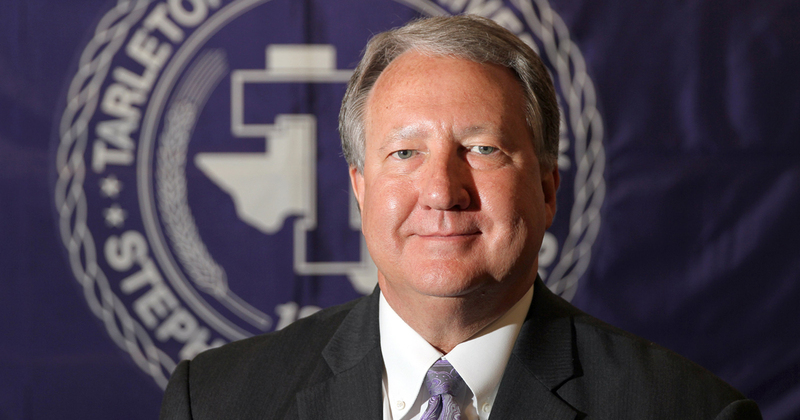 Richardson began working at Tarleton in 2009 as the vice president for Institutional Advancement. For the last three years, he’s also served as a faculty member, teaching business law. As of now, 9,000 out of Tarleton’s 13,000 students study at their campus in Stephenville, Texas. During his previous post as Tarleton’s VP for Institutional Advancement, Richardson started breaking ground for students of his native state, quite literally. He helped secure land for a new campus in Fort Worth, Texas. 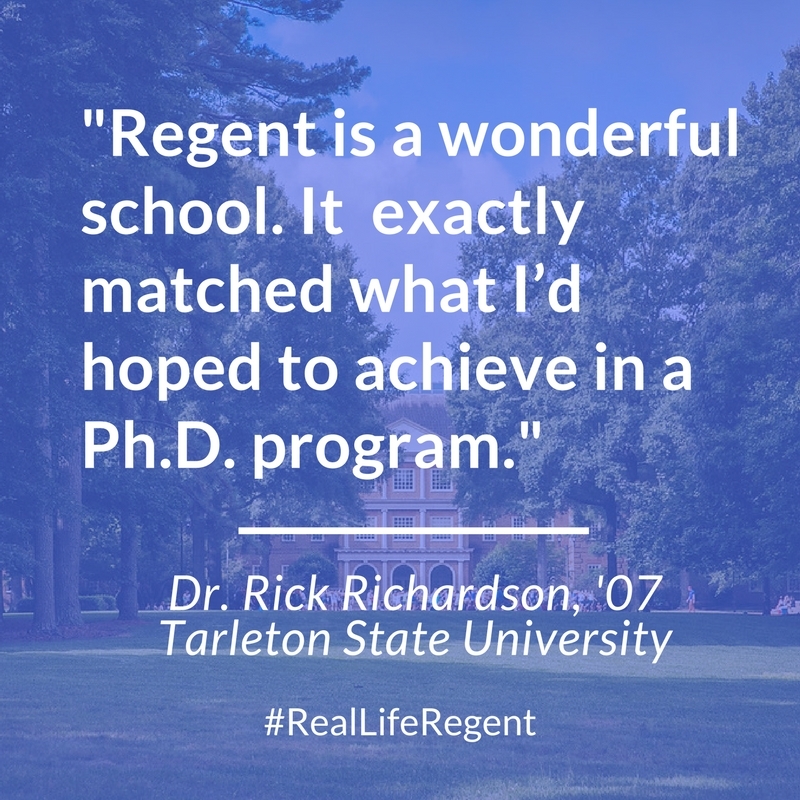 When it opens in the fall of 2019, Tarleton will be the first public institution offering residents of the area the ability to complete their undergraduate degree. Graduate and post-graduate on-campus degree programs will also be offered. Richardson first “caught the bug” for working in higher education while lecturing at Baylor University. He later worked at Texas A&M Corpus Christi as both an adjunct professor and director of development. “I’d always wanted to get into higher education,” he said. Throughout his professional career, Richardson has postured himself as a servant leader. “I’ve found that, as a professional, I’ve been more impactful in a positive way when I do that,” he added. Regent’s doctorate of organizational leadership degree — which he came to find while searching for a flexible Ph.D. program in his area of interest — reinforced this approach.